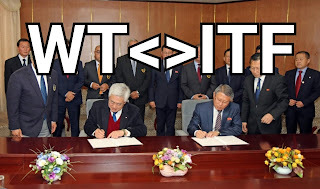 Another r agreement between WT and ITF. But the question is, would something work between the two organizations?? 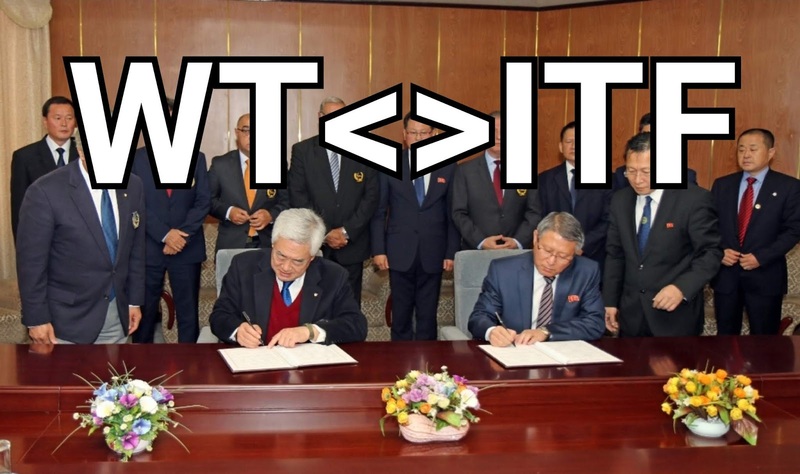 WT and the ITF signed a historic agreementPYONGYANG, North Korea (November 2, 2018) – Two international taekwondo governing bodies will form a joint committee by the end of the year in an effort to integrate the sport. World Taekwondo President Chungwon Choue and the International Taekwondo Federation President Yong Son Ri agreed on November 2 to set up a joint body next month to narrow their differences in governing the sport. Details about the integration have not been specified. The committee will decide what kind of changes they should make and how to do so. In a noticeable agreement, WT and the ITF will also work together for collaborative overseas events. “The International Olympic Committee (IOC) decided to add taekwondo to one of its main sports in 1994. Next year will be the 25thanniversary of the achievement. It will be great to demonstrate our sport to other countries together. I am sure the IOC will welcome it,” Choue said. Ri said he is also glad to sign a “historic agreement” between the two organizations. WT and the ITF will also cooperate to enlist taekwondo in UNESCO jointly.